This is the first card that I made for the October Splitcoaststampers Challenges. The challenge was to use Black, White and Red (or read) for your project. 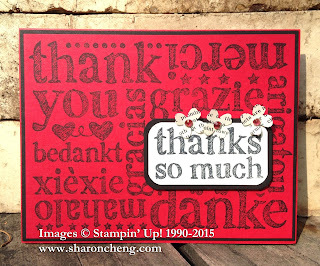 This card uses the A World of Thanks stamp set (139315 $15). 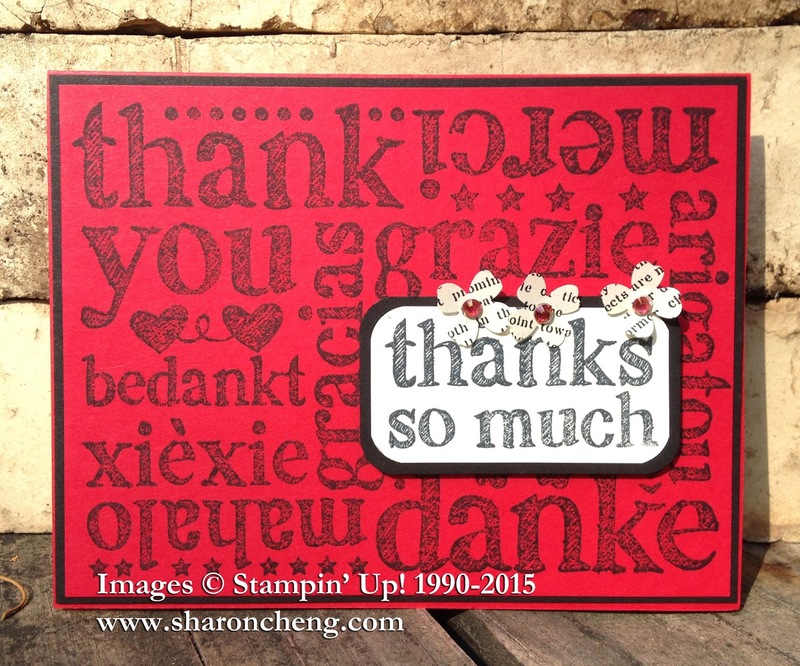 The next challenge was to use a "print" from designer series paper or stamped images. I decided to combine the color and print challenges to make these three cards. 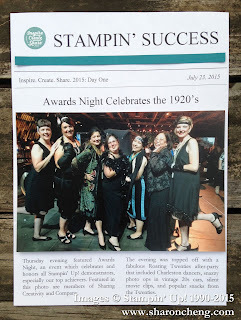 You can get more details about how I used Stampin' Up! 's Timeless Elegance Designers Series Paper to make all three cards. The paper uses Basic Black, Sahara Sand and Very Vanilla. It's quick and easy to add accent colors of your choice. The front page challenge was very different for me and I ended up loving this page. 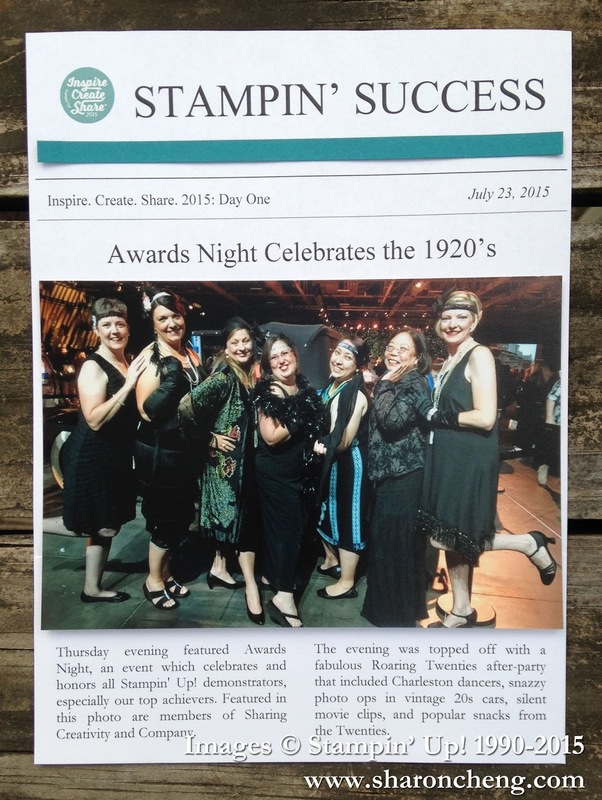 It features my group, Sharing Creativity and Company at Awards Night at Inspire, Create, Share 2015. Here are more details about how I created this page using Microsoft Word. And last, but not least, are making Halloween projects! Here is my mini luminaria. 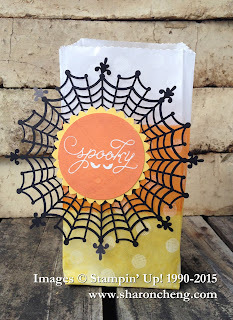 See how I made this and other Halloween projects using Stampin' Up! 's Among the Branches Stamp Set.